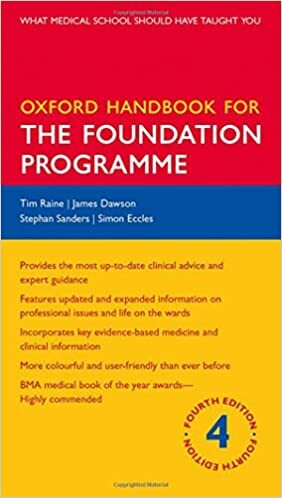 The Oxford Handbook for the Foundation Programme returns for a new edition with clear and thorough clinical guidance and honest advice to help you excel in your first two years as a doctor. This edition has been fully updated in line with the latest guidelines from NICE, Resuscitation Council UK, and the British Thoracic Society among others. This book gives you practical, step-by-step guidance on everything from neurological to gastroenterological presentations. Emergency presentations are highlighted in red and indexed on the inside front cover to give you fast access to the information you need. This edition also includes a fully revised chapter on pharmacopeia with references to the British National Formularly, as well as chapters on practical procedures and interpreting results.